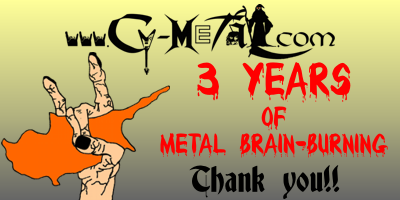 Last week Cy-Metal.com became three years old! Thank you, all of you, for keeping this site alive. We're here, still alive and well, and willing to provide more and more metal support!! In these three years we had a plenty of good moments and we're sure that more will come!